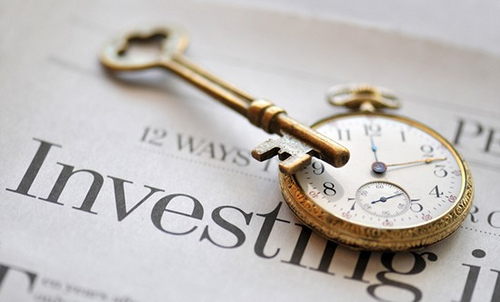 A lot of people are still trying to figure out when is the best time to invest, some people even have a good lump sum stored away in a current account waiting for the ‘perfect’ time to enter into an investment, and the problem with this is that you are losing out on the interest you could have earned already! The article on nutmegonomics goes into great detail about the difference of investing once a year near the end of the tax year and investing on a monthly basis, the most interesting point is that when you invest on a monthly basis you do not have the worry about the best time to buy and over time the cost of each purchase you make averages out, commonly known as the pound-cost averaging technique. Instead of taking a large risk and investing once a year, minimize your risk and divide your investment over the months within the year, you are rewarded with a larger percentage of interest at the end of the tax year. A great way to start investing is to take a lump sum and then add to it on a regular basis, once a month being the most common way to do this, don’t worry about the daily roller-coaster of the market, worry about the return on your investment at the end of the year.